Posted February 24th, 2012 by Karl & filed under MailBigFile, MailBigFile News. 1. New Feature – EmailBigFile. 2. Service Update – More Server Upgrades. 3. Service Update – CloudWatch Metrics. 4. Service Update – Free Service has been moved to CloudFront. 5. Pro App Update – Resume Uploads? Ever want to send a file to a recipient, store it on our servers but still prefer to send the email using your own email client? Well, with EmailBigFile, you can. Currently for all Pro Users, they will be able to find a new set of options at the bottom of their Account Settings. 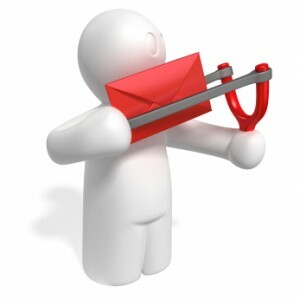 Here it will detail precisely how they can send a file using their email client and host it on our server. When you send a file using this service, the recipients will receive a notification like normal and the processing of the file will also occur as normal. Thus, you will also be able to find the uploaded file in your Upload History and forward it onto other recipients if needed. All files uploaded in this way will be given the maximum time and download limit possible for files uploaded on the Pro Service. To find out more about this service and to get started, please log into your Pro Account by first going to http://max.mailbigfile.com. Over the last couple of weeks we have been continually working on improving the infrasturcture behind MailBigFile to give you an even more reliable, resilient and improved performance. The new improvements to the infrastructure of MailBigFile we believe should help to improve the general speed you find when using the service, this includes with uploads and general loading of the website. We’ve also added in Amazon CloudWatch Metrics to the MailBigFile service, which provides a 24/7 check of the service to ensure everything is working as smoothly as possible. So, in the unfortunate eventuality that say there is a backlog of emails developing or files are not uploading to the server as we would normally be expecting, Amazon’s CloudWatch will be keeping a stern eye on events and alert us to this fact. We’ve also recently moved the Free Service onto CloudFront, the same server area as for the Pro Accounts. CloudFront allows for more seamless data transfers across all of Amazon’s servers across the world. You can read up more on Amazon CloudFront here. Pro App Update – Resume Uploads? One of our programmers has been steadily working on an Air App for Pro Users. As mentioned previously, we are drawing ever nearer to a release date for this application. One new feature he’s added is the ability to resume uploads. Thus, should an upload you do fail in someway during the upload process, the application will automatically be able to compensate for this and be able to continue and finish the upload in its entirety regardless. Of course, the app is still in its alpha stage, so this resume upload methodology is still very much in the testing stage. However, early results do look promising. As always, we’ll keep you up-to-date with any advancements as we go along.